From the second half of October 1939 (presumably around October 26th when the civil administration was introduced) the liquidation of the patients from the hospital in Owinska began. In the first stage approximately 1000 patients were killed from a shot to the back of the neck in the forest in the vicinity of Rozany Mlyn near Oborkni. The victims were buried in 28 mass graves. 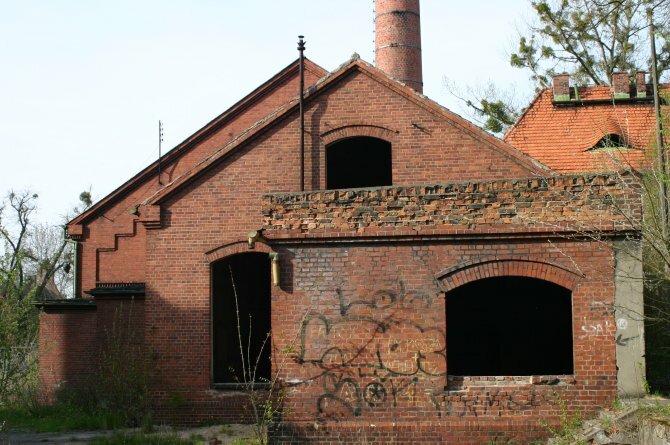 In the second part of the aktion undertaken at approximately the same time the patients were gassed with carbon monoxide from steel bottles in a bunker in Fort VII. and buried in the forests above. 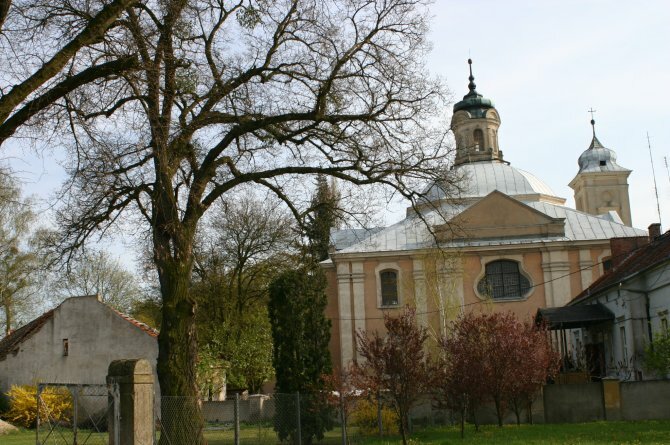 At the same time between 15th and 18th October 1940 more than 150 patients from the Poznan district and 27 patients from the Psychiatric clinic in Poznan were gassed. This was the first gassing aktion by the Nazis and predates the tests at Brandenburg by 3 months. It is believed that during this period Lange created the gas van, constructed in the workshops in the Gestapo headquarters in Poznan. 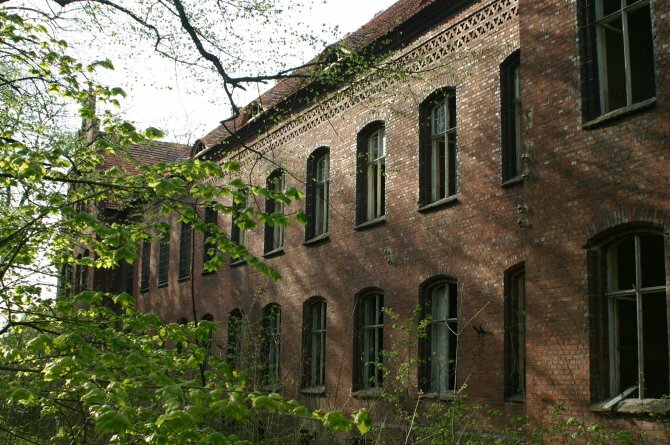 So-called 'Old Asylum' in Owinska. One of the buildings in the so-called 'New Asylum' in Owinska. 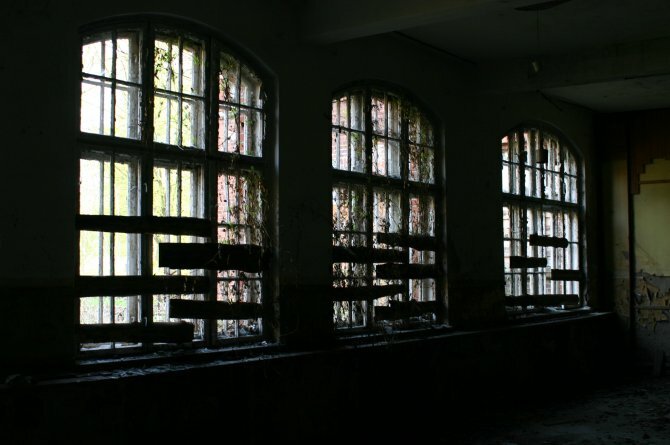 Inside the building ('New Asylum') - Owinska. 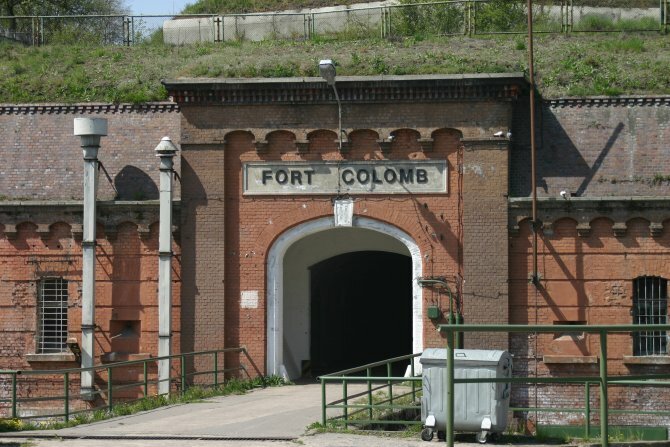 Main entrance to Fort VII (called Fort Colomb too) in Poznan. 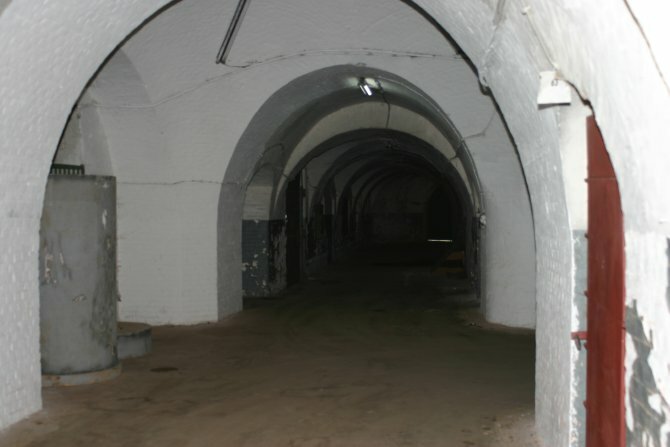 Main corridor inside Fort VII. 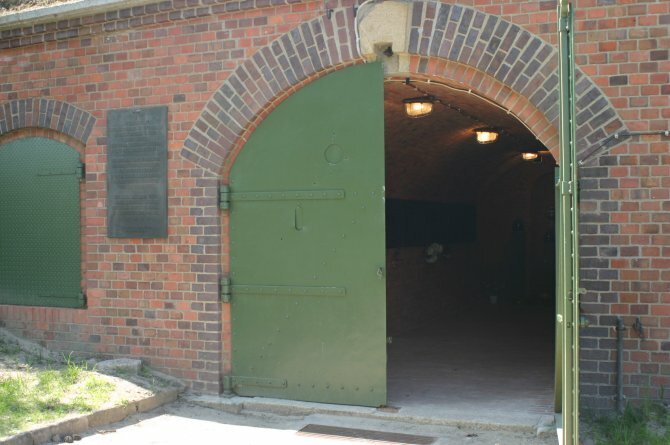 Gas chamber in Fort VII.